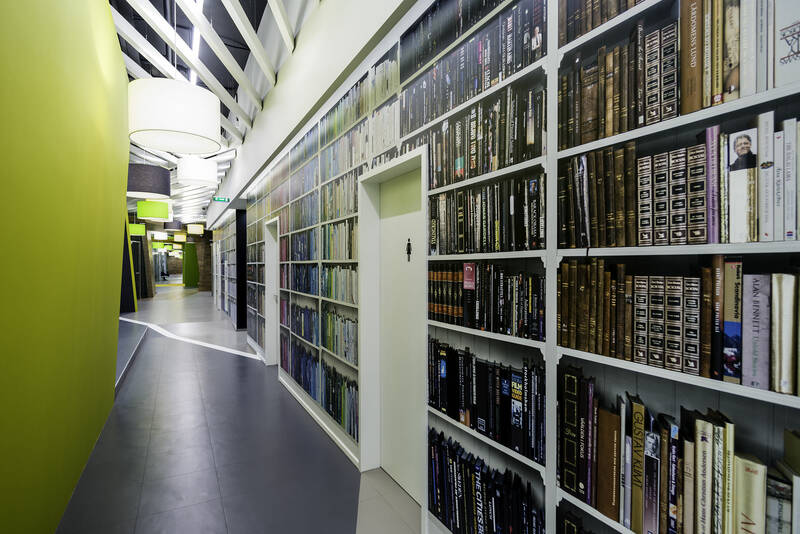 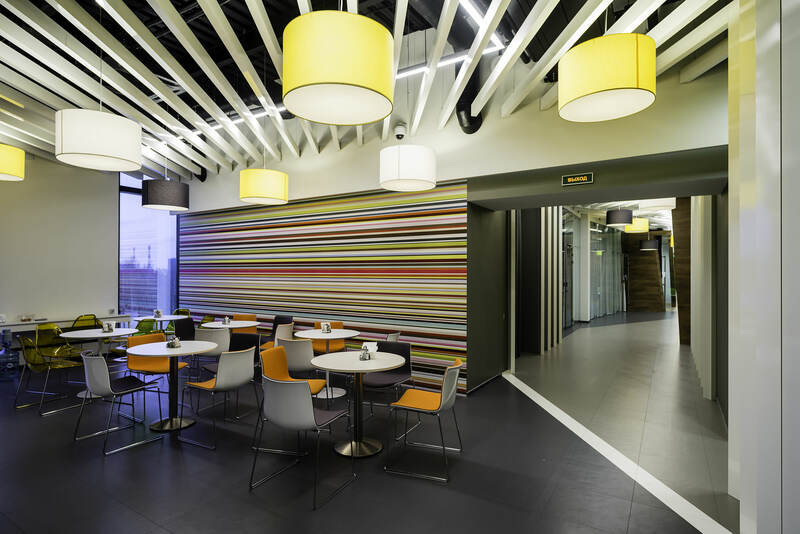 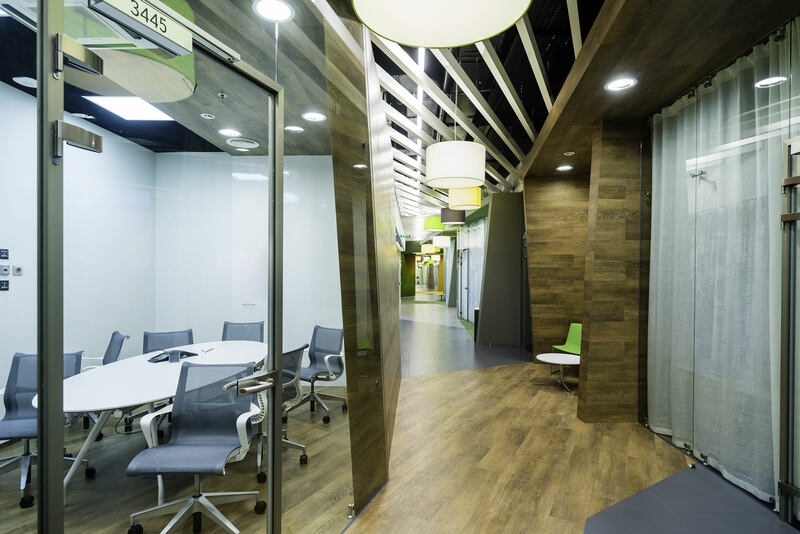 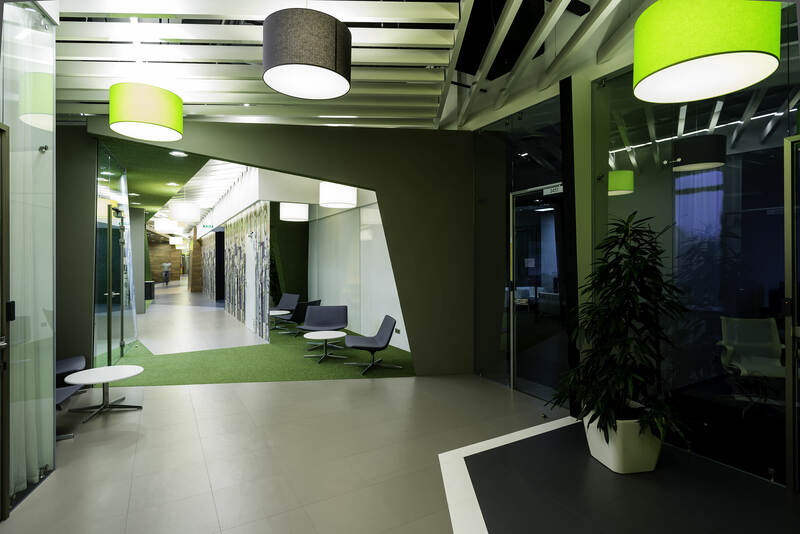 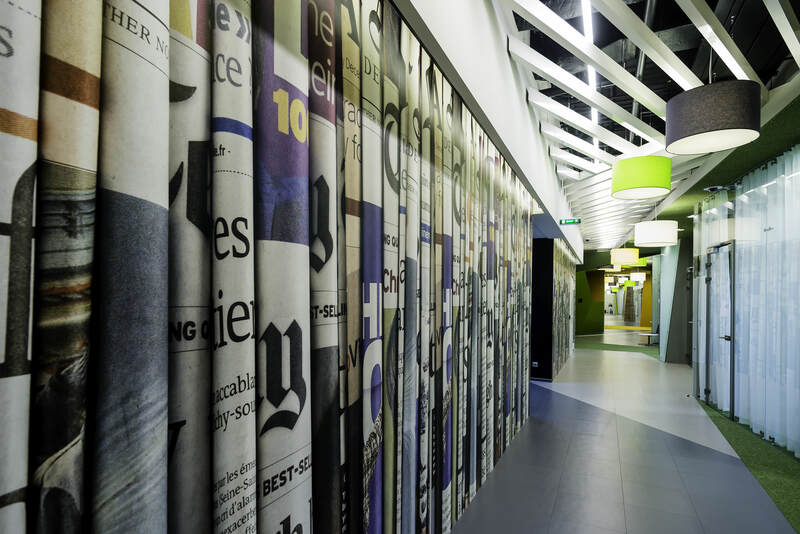 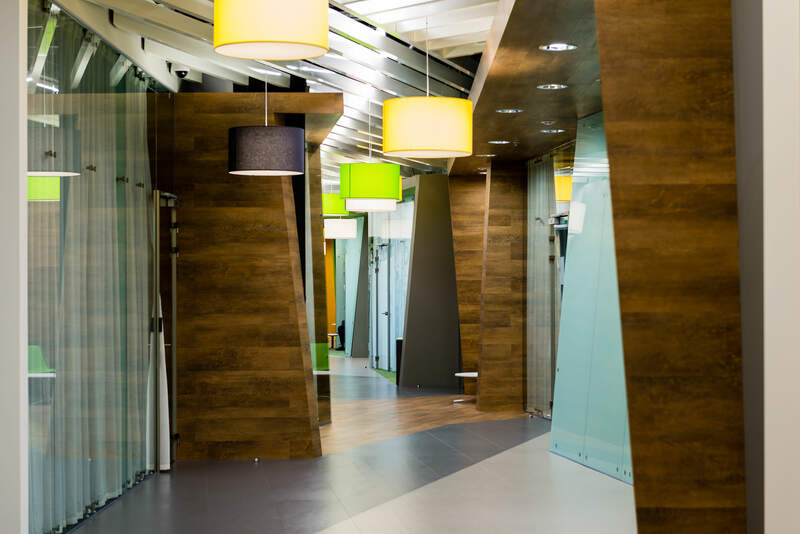 At the planning stage the space was developed, visually planned as something in between the second Yandex St Petersburg office with large original objects and the first, calmer, one – there has appeared a complex architectural geometry emphasized with bright colors in places. 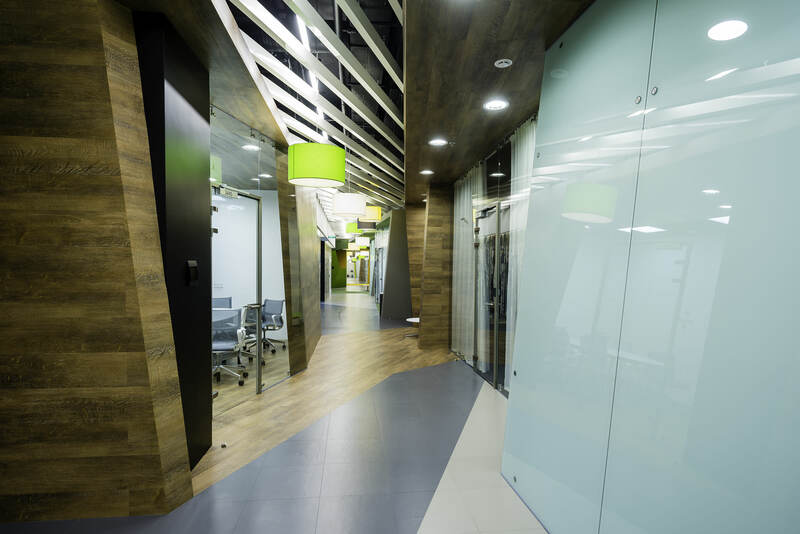 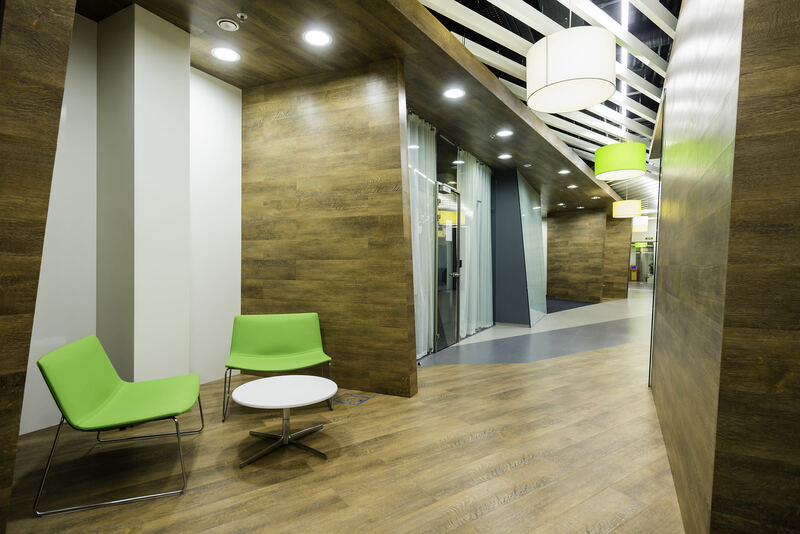 Just like in other offices, in this office there have been created small cell zones for informal communication of 2-3 persons, which are located along the long corridor piercing the floor of the business center. 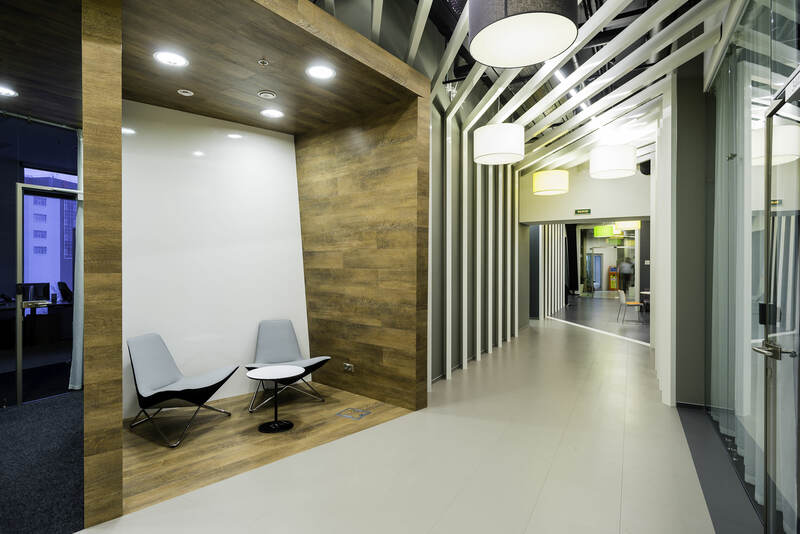 This corridor was the biggest difficulty for all projects of Benois Business Center, as it is not easy to zone a space which is so oblong. 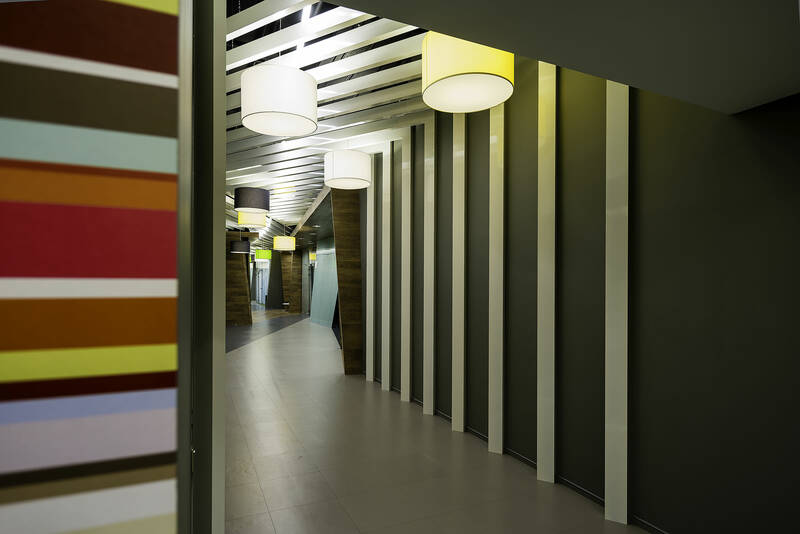 However, this office, just like other offices, was finally made as a corridor-office system. 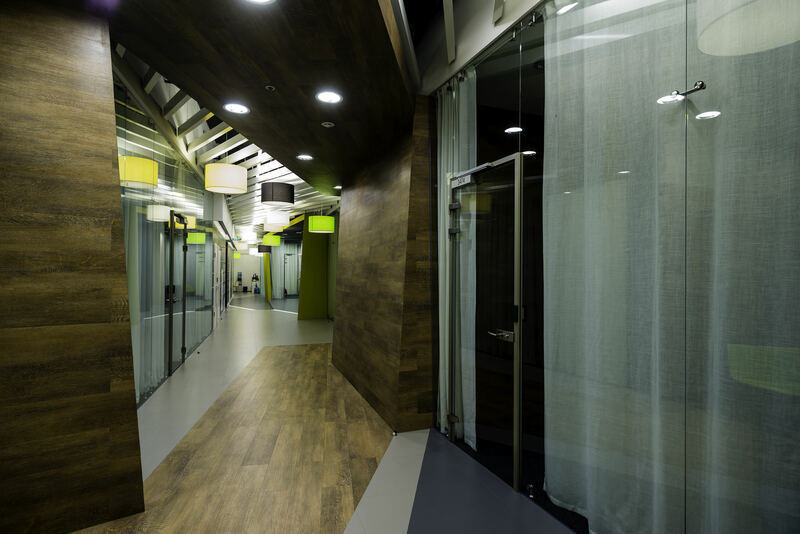 That is, along a corridor you can see cabinets and small open spaces for employees, as well as recreational areas, such as for example, yoga room, medical and massage cabinets, coffee points.